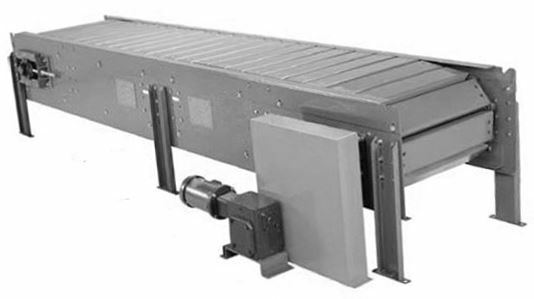 Powered Slat Conveyor – BNB Industries, Inc.
Used to convey unstable or irregular shapes objects, products that have problem with bottom surfaces. Used for assembly line work where there is a slow rate of speed. Typical products would be furniture, appliances, lawn mowers, etc.